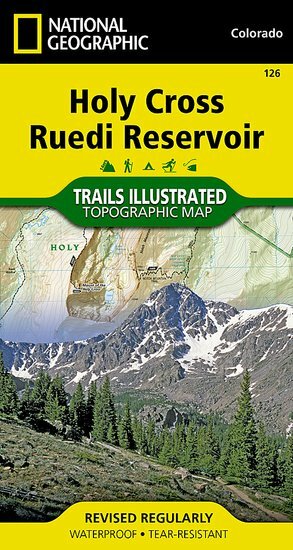 Trails Illustrated Holy Cross/Ruedi Reservoir Trail Map [ti126] - $10.95 : Trail Explorers Outpost, Keeping the Adventure Alive! 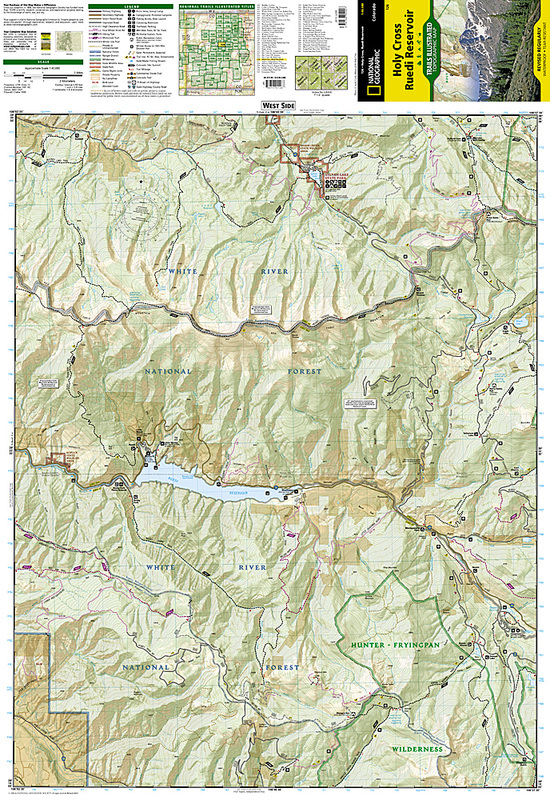 The Holy Cross/Ruedi Reservoir Trails Illustrated map is the most comprehensive and complete recreational map for this beautiful area in the mountains of Colorado. Coverage includes White River and San Isabel national forests; Hunter-Fryingpan and Holy Cross wilderness areas; Sylvan Lake State recreation area; and the cities of Thomasville and Meredith. 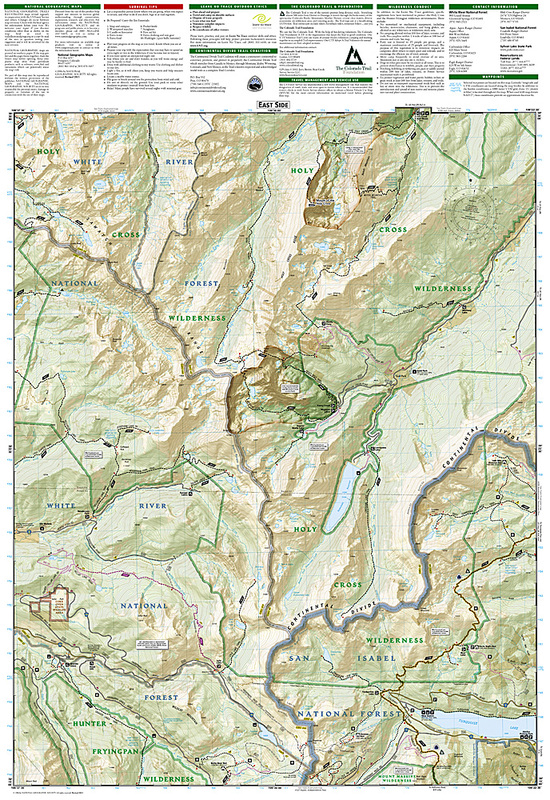 Also includes Turquoise Lake, Rocky Fork Creek; Ruedi Reservoir; and the Crooked Creek, Fancy, Hagerman, Half Moon, Fall Creek and Missouri passes. 10th Mountain Huts: Margys Hut, Harry Gates Hut, Peter Estin Hut, Betty Bear Hut, Skinner Hut, Uncle Buds Hut, 10th Mountain Memorial Hut, Notch Mountain Hut.